The former President of the United States, Bill Clinton and, at the time of publication, still current Prime Minister of the United Kingdom, Tony Blair have described their style of government as a ‘Third Way’. In this important and timely book, Flavio Romano identifies and clarifies the economic implications of this particular approach to public governance. 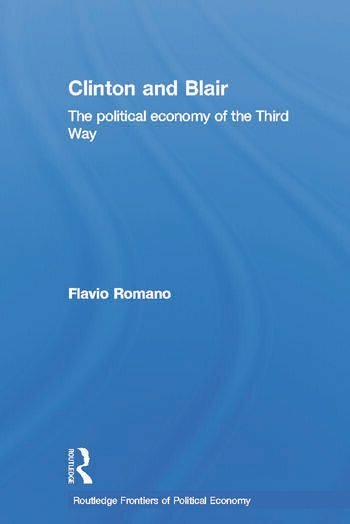 Testing the validity of President Clinton’s and Prime Minister Blair’s claims of practising a Third Way Romano submits their economic policies to extensive theoretical and historical analysis. Through careful and detailed examination of their fiscal, monetary, education, employment and public and private investment policies, overwhelming evidence is presented to challenge these leaders’ claim of practising what they preach. This engaging book will be of great interest to students and practitioners of economics and politics and to those interested in world politics in general. Flavio Romano is at the University of New South Wales, Sydney, Australia.